Not to toot our own horn too much but the Cheater Wrench is a great assistant to any number of jobs. From farmers to commuters, we’ve compiled some of our favorite uses for people using the Cheater Wrench for their work and hope these may inspire you to see if you might need one of our wrenches as well. 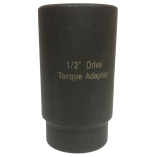 Four 1” drive sockets: 41mm, 38mm, 33mm and SQ 21mm. One socket extension, which is also a female to male adaptor. There are other sockets and adapters that can be purchased to add to the utility of the Cheater Wrench, but the basic package is a great starting ground for most users. Time is money when it comes to driving truck and no truck driver wants to be stuck at a mechanic’s garage as they struggle to change the tires. By using a Cheater Wrench, drivers can take advantage of the torque multiplier effect, quickly and easily changing their own tires, skipping the mechanic’s bill and wait time. For farmers and ranchers looking to save money on their equipment repairs, they should invest in a Cheater Wrench. Instead of having to take their equipment into a shop to have tires changed or rotated, they can take care of the tires from the comfort of their own property. So while there may still be the expense of new tires, you can cut the labor part of your bill out. The wear and tear of the daily commute can first be seen on the tires of the commuting vehicle. But it can be a pain to schedule time to have your tires rotated, even when you know it will extend the life of your tires. No need to book a mechanic when you have a Cheater Wrench. 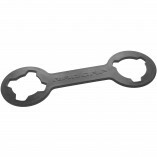 With this tool, you can easily rotate and change your tires or even have your teenager do it for you! While you may not be a mechanic or a truck driver, there is a high likelihood you do drive some kind of vehicle. Skip the hassle of wrestling with your tire iron when changing your tires and do yourself the favor of owning a Cheater Wrench. We promise you won’t regret it.